Musica Jazz di agosto 2012 ospita un ricordo di Lol Coxhill scritto da Riccardo Bertoncelli: Il soprano calvo. Scade domani il termine ultimo entro il quale prenotare a prezzo di favore la propria copia del box celebrativo dell'Instant Composers Pool annunciato i mesi scorsi: conterrà una cinquantina di cd, alcuni dvd, un corposo volume storico e fotografico e altri materiali d'archivio. "Improvisation is like daily life... like crossing a street" - says Han Bennink. The ensemble of the Instant Composers Pool, or ICP, improvises for 45 years now on the highest level. 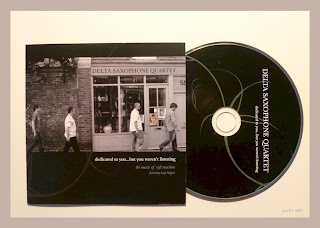 "These guys can swing like madmen and then all of a sudden play the most sensitive ballads" according to trumpetplayer Dave Douglas.This is really an improvisational monster with ten heads! 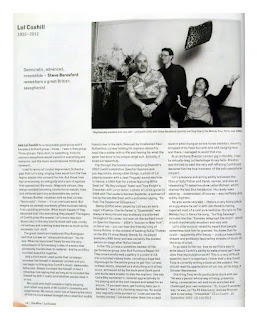 Furthermore co-founders Misha Mengelberg and Han Bennink are the true "Giants of European jazz"! ICP is historical, unique and there is nothing else like it in jazz. Good news, we have hit the 300 reservations-mark! 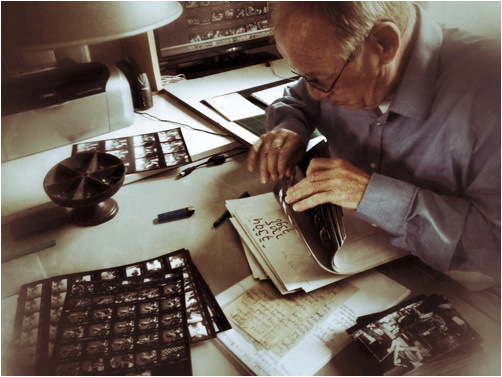 We are now in the process of putting together the photobook with Pieter Boersma and gathering all the materials that will make up the boxed catalogue. Even though we have hit our mark, we decided to extend the reservation period to 31 August to give the last few enthusiasts the chance to pre-order a copy and join the special release event, which will be organized specially for the early birds to pick up the box. We are working towards a date at the end September, but exact date, time and location will be revealed in our next update. The price for the first 300 boxes will be €399, after that it will be priced €499. 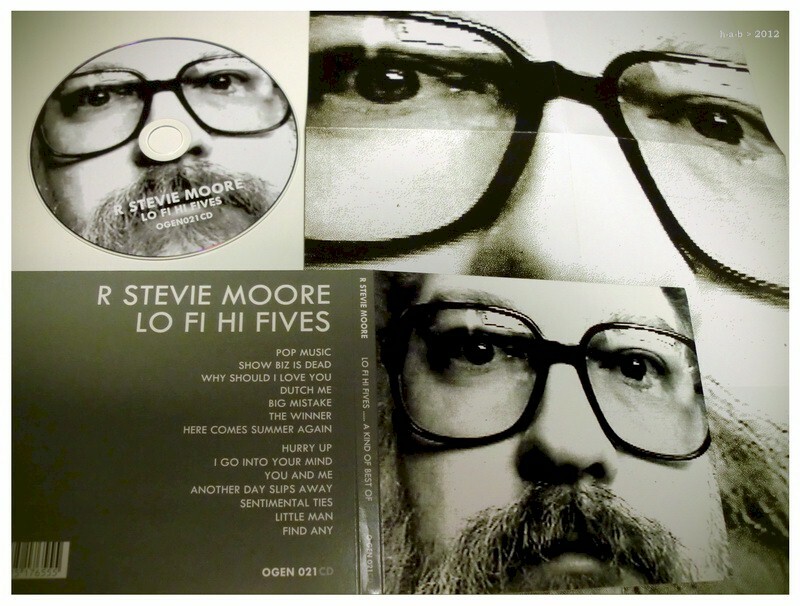 Prova ad avvicinare l'universo dell'iperprolifico R. Stevie Moore una nuova compilation, curata per l'etichetta O Genesis da Tim Burgess, seguendo una traiettoria pop più lineare del solito: Lo Fi Hi Fives. Del suo immenso catalogo di titoli prodotti a suo tempo in audiocassetta e poi cdr - attualmente trasferito, ma solo in minuscola parte, su Bandcamp - parla Moore stesso in un intervento a Pitchfork Tv. 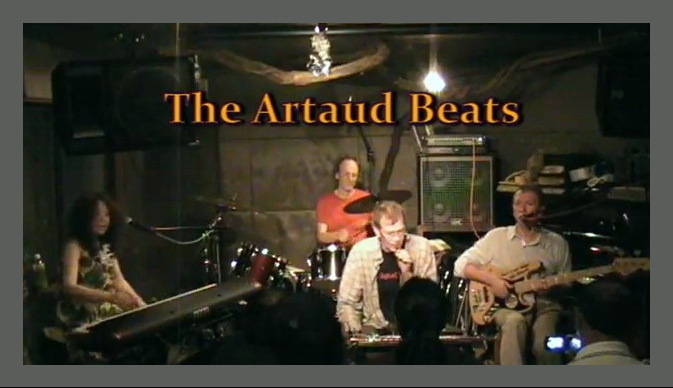 Yumi Hara Cawkwell e Geoff Leigh confessano dai rispettivi canali YouTube le malefatte compiute con John Greaves e Chris Cutler in terra nipponica lo scorso giugno: The Artaud Beats. I francesi Post Image invitano John Greaves per la realizzazione dell'album In An English Garden (Mosaic Music, 2012) e per alcune esibizioni dal vivo insieme. Due video girati lo scorso maggio sono su YouTube: Things Behind The Sun (Nick Drake) e Smile (Charlie Chaplin). 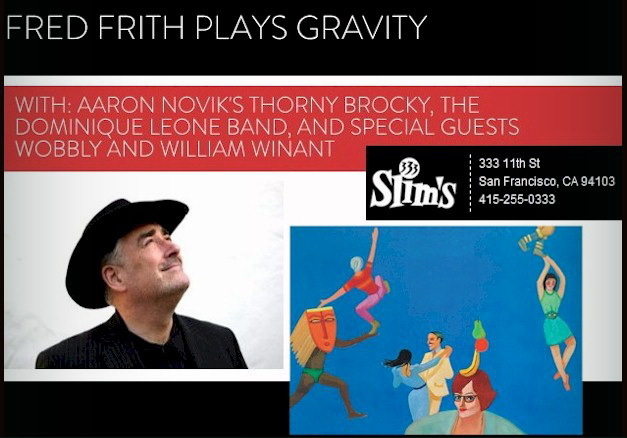 Inizialmente previsto a febbraio, si tiene stasera allo Slim's di San Francisco (Stati Uniti) l'atteso concerto con l'esecuzione integrale dell'album di Fred Frith Gravity, suo autentico capolavoro di inizio carriera da titolare solista - uscì nel 1980, per la Ralph Records - proposto dal vivo in misura significativa solo molti anni dopo, mai però per intero, nei concerti di Keep The Dog degli anni novanta. Ad aiutare Frith in questa non semplice impresa - primi loro, tra l'altro, a istigarlo a tanto - sono due gruppi dell'area californiana, un quartetto guidato da Aaron Novik e un trio guidato da Dominique Leone, con William Winant e Wobbly ospiti per l'occasione. 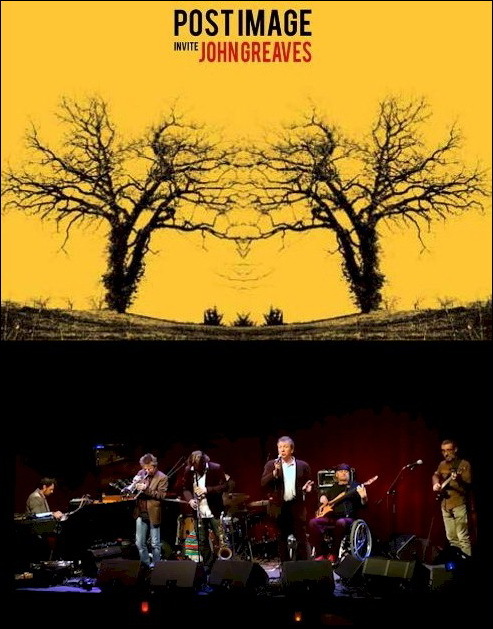 A inizio serata altre composizioni di Frith saranno interpretate dal Rova (alcune sezioni di Freedom in Fragments), Chuck Johnson e Granny Zebra. In 1978, the British cult band Henry Cow broke up after ten years, leaving founder-member Fred Frith at a loose end in London. Shortly afterwards, renowned entrepreneur Giorgio Gomelsky (one-time manager of The Rolling Stones, The Yardbirds, John McLaughlin, and French colossus Magma) called Fred and offered to pay his ticket to come and check out the extraordinary things that were happening in New York. Fred quickly took him up on it; soon his world was upside down, and he’d decamped to the Lower East Side, where he remained for twelve momentous years that spanned his work in Massacre, Material, Skeleton Crew, Keep the Dog, and John Zorn’s Naked City, as well as dozens of albums and solo appearances. 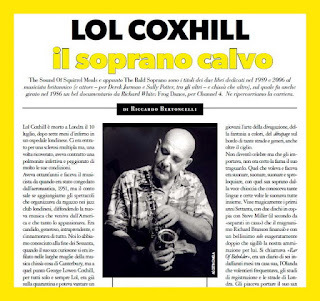 Sulle pagine della rivista britannica The Wire Steve Beresford ricorda l'amico e il compagno di tante vicende musicali insieme: Lol Coxhill, l'irresistibile. 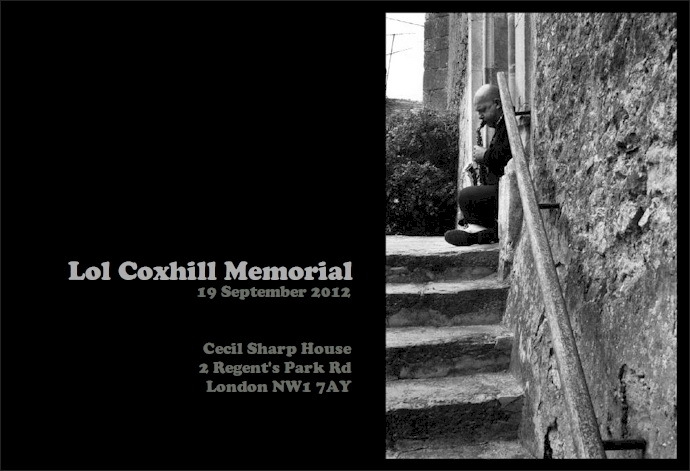 E Phil Minton sarà con Mike e Kate Westbrook e Chris Biscoe al concerto in memoria di Lol Coxhill - il prossimo 19 settembre a Londra, alla Cecil Sharp House - in una formazione della Brass Band appositamente convocata per rivolgere un affettuoso saluto in poesia e musica all'antico compagno: The Badger e The Toper's Rant. Ospite per due mesi della Hatton Gallery a Newcastle, l'installazione Throw Them Up and Let Them Sing - filmati e immagini prodotti e raccolti da Helen Petts attorno all'opera di Kurt Schwitters, relativi in particolare agli anni del suo esilio in Norvegia e Gran Bretagna durante il nazismo - si potrà visitare per qualche giorno anche a Londra, alla Royal Festival Hall, dal 31 agosto al 9 settembre prossimi. Le fasi di realizzazione del progetto, nell'arco di quasi due anni, sono riassunte in un blog curato della stessa Petts, mentre alcuni video di concerti e performance collegati al programma sono pubblicati su YouTube. 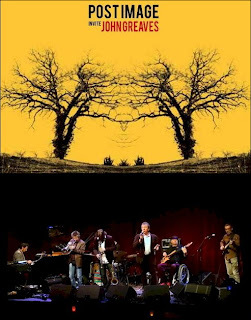 In grande evidenza è Phil Minton, ripreso da solo, con Roger Turner, con Ute Wassermann e con il suo Feral Choir. In un'intervista a Point of Departure, l'autrice descrive il proprio approccio a Schwitters: "I discovered Schwitters' collages through a visit to the Sprengel Museum in Hanover, Germany, after a screening of my films at Hanover Jazz Week. Roger Turner had loaned me a book about him a couple of years earlier and I liked the story but didn't really see what all the fuss was about with his work. Then I discovered the collages and was totally blown away and decided I wanted to make a film that references Schwitters’ art work and his obvious love for mountains, lakes, rhythms and textures in the landscapes he went to, intercut with similar musical rhythms and textures from Minton and Turner's music with a little added Merz-type humor visually from them. I decided to add Adam Bohman to the mix as he is the most Merz-like person I know and I wanted his little scratchy sounds he makes with found objects with contact mikes. 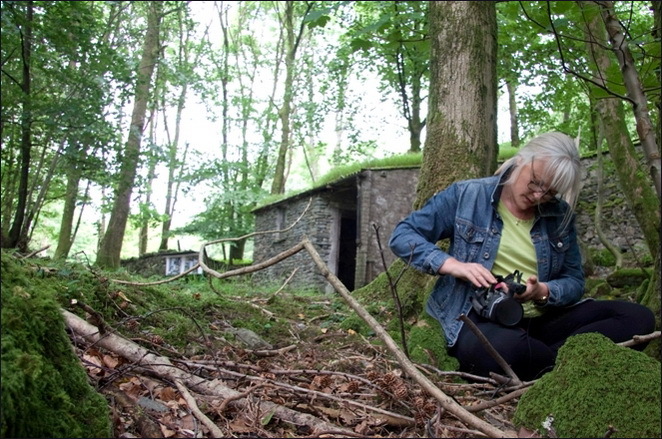 And Sylvia Hallett plays a bicycle wheel that sounds just like bleak empty Norwegian fjords where Schwitters first lived in exile. Also Schwitters used the wheel as a recurring motif in his work, so it’s a visual reference." Nel variegato programma di iniziative concomitanti - dal 15 al 26 agosto oltre un centinaio di eventi in vari luoghi del mondo, uniti sotto lo slogan 'Flags Across Borders' - che danno vita quest'anno al secondo festival Fukushima!, retto con tenacia contro ogni immaginabile difficoltà dagli sforzi e dalla determinazione di Otomo Yoshihide, Michiro Endo e Ryoichi Wago, entrano anche i concerti in calendario da domani a venerdì 24 organizzati al Cafe Oto londinese con l'apporto di Resonance FM: intervengono tra gli altri David Toop, Steve Noble, Seymour Wright, Xentos "Fray" Bentos, Sean O'Hagan, Bing Selfish e Sabu Toyozumi. 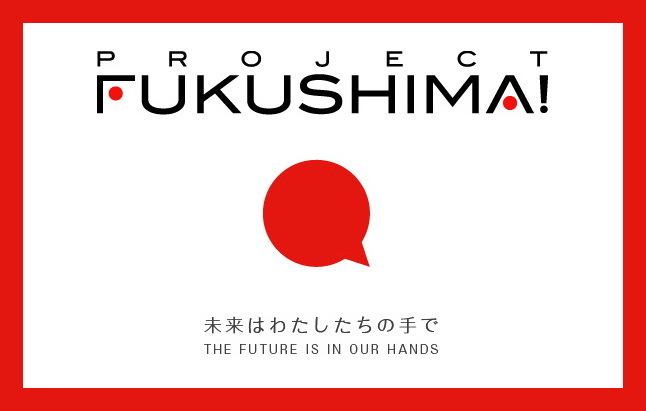 Nel manifesto del programma si legge: "In 2012, this year's "Festival Fukushima!" aims to hold more than 100 synchronized events to be conducted in various places not only in Fukushima Prefecture but also in Japan and abroad during a 12-day-period from August 15 to 26. Although it is called "festival", any types of events are welcomed, for example, music events such as a small session held by a few people or a large-scale music festival with performances of many bands, various art events such as art exhibits, plays, movies, dance or other kinds of performances and other events including dialogues, talk sessions, symposiums or school-style workshops. This year's theme is "Flag" and the title is "Flags Across Borders". 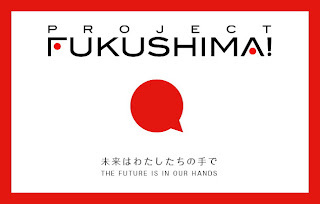 We think many people have confronted over Fukushima and hoisted their own "flags". However, what will happen if we make all those flags flap at the same time? We imagine that numerous flags could transcend differences in stances, borders and national boundaries and eventually connect us. "The future is in our hands" - this is our belief that has not changed since last year. We hope this idea spreads even further as you integrate your own thought into it." E a proposito delle preoccupazioni e delle riserve circa la radioattività dell'area di Fukushima scelta per ospitare alcuni eventi, in particolare il Villaggio delle Quattro Stagioni, così scrivono gli organizzatori: "The radiation level of an outdoor area around Fukushima Station is approximately 0.5~1 μSv/h. It is several times to a little more than 10 times as high as that before the Fukushima Daiichi Nuclear Power Plant accident. At the Village of Four Seasons, it is approximately, 0.2~0.6 μSv/h. They are never in a natural state. And it is true that there are pros and cons regarding a plan to gather many people in such places. We will not use a word "safe". We think it is a fact that there are people who do not want to come here in such a state. We will never deny such opinion. We think if people fear something, they feel fearful whatever they are told by others and it is only natural for them to try to decrease risks. We don't think the most important issue is whether to come to Fukushima or not, because we wish a circle of people will expand beyond the physical place of Fukushima. However, if you think of Fukushima, there is one thing we want you to remember : there are many people actually living there. And those people try to confront the reality after fully understanding such reality they are placed in. while they are leading their daily life. Whatever opinion you might have regarding the radiation issue, coming to Fukushima means to come to meet such people." Pyongyang Express, titolo di fresca stampa su etichetta FMR, racconta in forma di diario di viaggio l'avventura nord-coreana compiuta nell'aprile 2009 dal trio sassofonistico Airkraft, formato da Pete Whyman, Frank Van Der Kooij e Chris Caldwell. Ci sono soprattutto composizioni di Van Der Kooij, c'è un po' di colore locale, e c'è molto anche del compianto Hugh Hopper, amico dei tre e loro collaboratore in diverse occasioni. Osserva Bruce Lee Gallanter, di Downtown Music Gallery: "Hugh Hopper, who passed away in June of 2009, casts a shadow over this session. Hopper collaborated with Whyman and Caldwell in the Delta Sax Quartet who cover the music by Hugh's former band Soft Machine and Hopper also co-lead a band (NDIO) with the third member of this trio, Mr. Van Der Kooij. There is a song called Hugh dedicated to him on this disc as well as a sample of Hugh's loops, plus the cd closes with Hopper's Virtually from Soft Machine Third. Most of the music here has poignant, somber and even melodic sound with little or no free or rambunctious playing. It all flows together superbly from one section to the next, not unlike the way all Soft Machine sets always flowed non-stop". 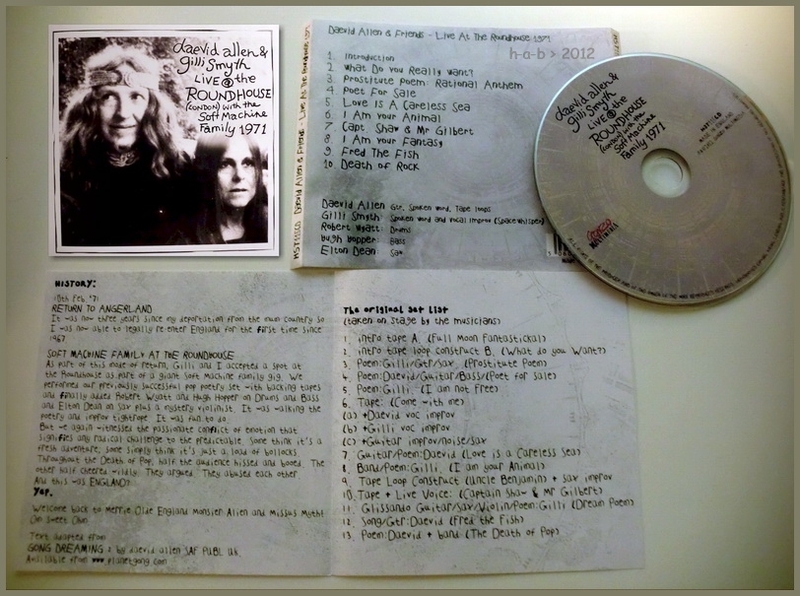 L'importanza storica ne supera senz'altro la qualità sonora, pur accettabile: Live at The Roundhouse 1971, un inedito ora disponibile per Voiceprint / Gonzo Multimedia, documenta il ritorno di Daevid Allen e Gilli Smyth sulla scena britannica dopo gli anni della deportazione successivi al 1967. L'occasione, è noto, fu un evento musicale del 7 febbraio 1971 organizzato in favore dell'associazione Release con il contributo a vario titolo di Soft Machine, Ralph McTell, Kevin Ayers and The Whole World, Ivor Cutler, Symbiosis, Elton Dean Quartet e Mark Boyle. "Intriguing, historic, reasonable middle-fi (audience?) recording of Daevid and Gilli's return to performance in the UK four years after Daevid was refused entry to the country in 1967. 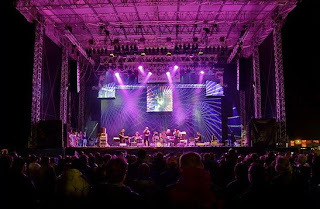 An event which led to him leaving Soft Machine. In the circular nature of things their return was at London's legendary Roundhouse supporting (and being partly supported by) Soft Machine. Daevid and Gilli dip into their spoken word/soundscape recent (back then) 'back catalogue', but at the same time also point to the horizon where the light of the rising Planet Gong is starting to lighten the sky by giving a UK premier to several works destined to become much more well known. Later in '71 Daevid and Gilli would return with Gong, firstly in the Summer for Glastonbury Fayre, and then in the Autumn for the first UK Gong tour, but here on this echoey, highly atmospheric recording a Gong vibe reverberates in Albion's consciousness for the first time." 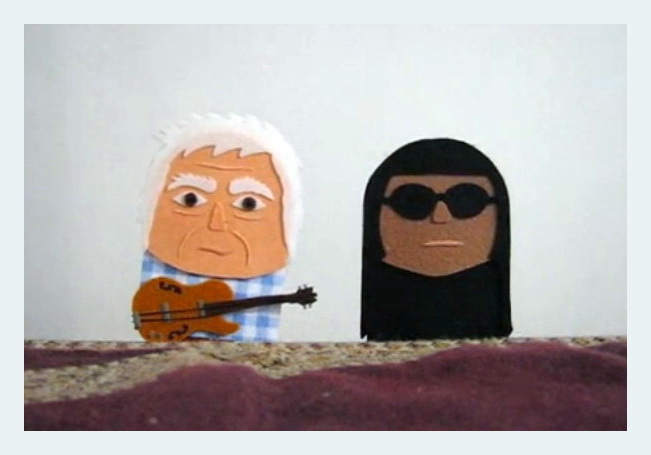 Le 29 septembre, le père de la musique électroacoustique livrera Le Fil de la vie qu'il estime être sa dernière grande composition. A 84 ans, Pierre Henry évoque en avant-première cette œuvre testament et revient sur sa carrière dense et atypique, celle d'un créateur tentant sans cesse de lier l'homme et la nature. 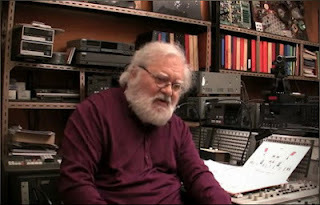 Qu'il soit ou non le père - spirituel ou pas - de la techno importe finalement peu... A 84 ans passés, une seule chose compte pour Pierre Henry: composer. L'œuvre qui naitra devant le public de la Cité de la Musique, le 29 septembre prochain, aura même une saveur toute particulière. 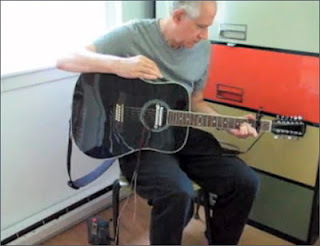 Avec Le Fil de la vie, le grand pionnier de la musique électroacoustique déclare livrer une sorte de testament. Ce Fil de la vie sera «la décomposition de certaines de mes œuvres. 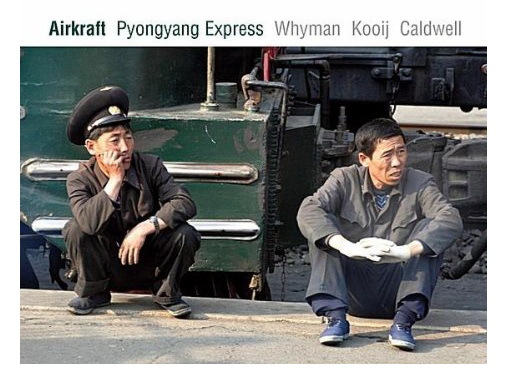 Un voyage d'introspection». Un retour sur soi, autobiographie d'un genre bien singulier, qui est l'occasion d'évoquer, dans la tanière que le maître occupe depuis quarante ans entouré de ses nombreuses machines, une œuvre ovni, vaste et éclectique. Une œuvre qui ne se limite surtout pas à Psyché Rock qu'il créa en 1967 avec Michel Colombier pour la Messe pour le temps présent de Maurice Béjart. Passeggiata musicale con eventi a sorpresa e concerti di musiche di John Cage, o a lui ispirate, oggi pomeriggio e sera alla Royal Albert Hall londinese per Proms 2012: cura il programma Ilan Volkov, chiamando a sé tra gli altri John Tilbury, Keith Rowe, Christian Wolff, Steve Beresford, David Behrman, Takehisa Kosugi, Vicki Bennett, i fratelli Adam e Jonathan Bohman, John Butcher, Rhodri Davies e Robyn Schulkowsky e dirigendo lui stesso la BBC Scottish Symphony Orchestra. Si può seguire il tutto in diretta tramite Radio 3 della BBC a partire dalle 19.45, ora locale. John Cage's works feature nicely in upcoming programming by the BBC Scottish Symphony Orchestra, led by conductor Ilan Volkov. Based in Glasgow, the BBC SSO is one of only five full-time orchestras maintained by the BBC, and is the oldest full-time orchestra in Scotland. To mark the centenary of John Cage's birth, Ilan Volkov has created a programme that reflects the composer's iconoclastic thinking, fertile imagination and arresting humour. John Tilbury, who has for decades been associated with Cage's work, tonight plays the exquisitely beautiful Concerto for Prepared Piano and Orchestra. Cassette players and plucked cactuses are just two examples of the blindingly original, yet almost naively simple thinking that saw Cage - wittingly or otherwise - upturn practically every musical rule in the book. Continuo propone l'ascolto integrale dell'album di Maggie Nicols e Pete Nu Don’t Assume, LP uscito nel 1987 per l'etichetta Leo Records e mai più ripubblicato da allora, salvo quanto apparso in un cd del 1994 che conteneva invece per intero il precedente capitolo del duo, Nicols ‘N’ Nu. Published by Leo Records in 1987, Don’t Assume was Maggie Nicols' second duet with pianist Pete Nu, after Nicols ‘N’ Nu on the same label in 1985. Born in Scotland in 1948, Nicols first recorded with Keith Tippett’s Centipede orchestra in 1971. 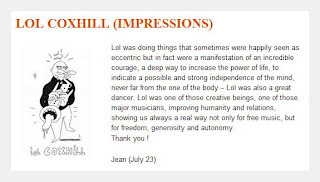 During the 1980s, she sang with prominent free jazz players and improvisers like Julie Tippetts, Lindsay Cooper, Joëlle Léandre, Irène Schweizer, Paul Rutherford, etc. 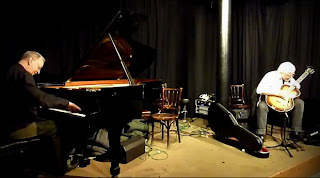 On Don’t Assume, and particularly on the eponymous side-long track, Maggie Nicols carefully avoids anything resembling jazz singing in favor of an intermediary state between spoken word, sound poetry, thinking out loud and sprechgesang. Similarly, the piano accompaniment, a delicate, needle-point construction of ephemeral chords and non-rhythmic structures, seems to be floating mid-air in an uncertain pitch like some of Olivier Messiaen’s piano music. This strange alchemy works wonders and inevitably takes the listener by surprise. Light years ahead of her early 1970s contemporaries in terms of individuality and uncompromising vision, the album makes today's major label computer generated fabrications an embarrassment to listeners worldwide. Still to this day, Annette remains a passionate advocate, an enigma caught between the peace and love vibrations of a hippy counterculture and the more worldly intelligence of the modern age. Her records continue to influence and inspire, and with I'm The One finally back on the shelves, countless new jacks on the scene can scope its liner notes and bear witness to its brilliance. 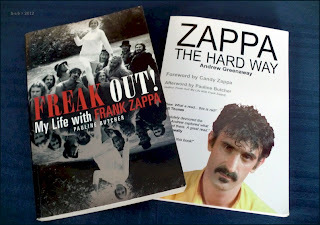 Due libri zappiani molto ben scritti e ricchi di informazioni di prima mano: Freak Out! My Life with Frank Zappa, di Pauline Butcher (Plexus, 2011), un vivace racconto degli anni dal 1967 al 1972 spesi al fianco di Zappa in qualità di sua segretaria particolare, e Zappa The Hard Way, di Andrew Greenaway (Wymer, 2010), un composito e dettagliato resoconto del drammatico tour del 1988 Broadway The Hard Way, con le testimonianze dirette di molti protagonisti. Del libro di Butcher dice Greenaway: "Contains lots of inside information about the true state of the grubby log cabin. 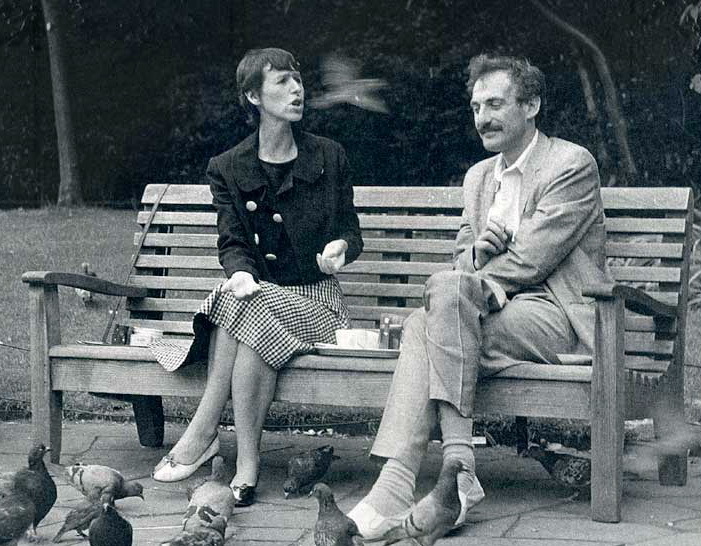 Pauline's time with the Zappas was very eventful, with an assassination attempt, constant work-related squabbles with Gail (who she says 'has three speeds: slow, very slow, and stop'), and general in-house strife. But she also had many good times, getting to see moments of pure brilliance as well as witness some of Frank's more fanciful projects (the GTOs, Wild Man Fischer, etc.). This is an honest, accurate - and very well written - account of her thoughts and feelings at the time, based as it is on her diaries and letters home. Entertaining and occasionally laugh-out loud funny, too". 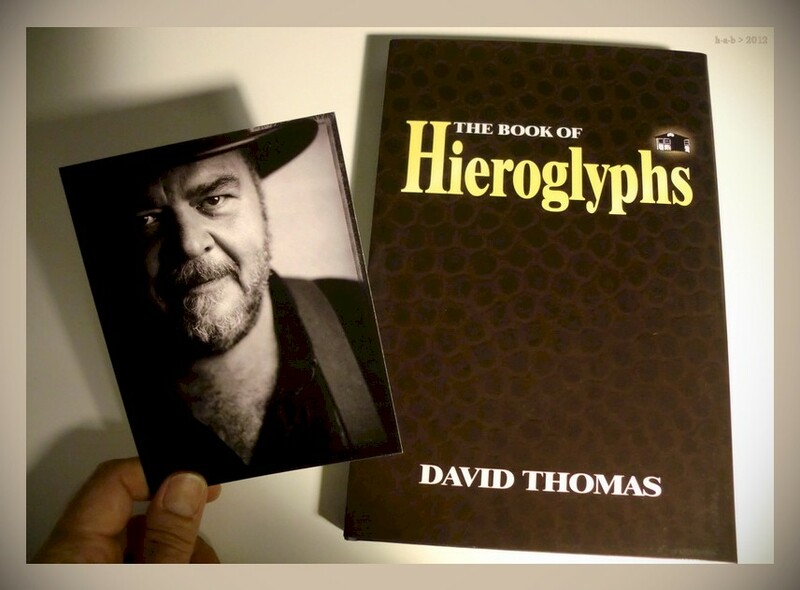 Sarà presentato ufficialmente solo tra un mese - l'appuntamento è al londinese Cafe Oto, il 15 settembre pomeriggio - ma il bel libro di David Thomas The Book of Hieroglyphs è già disponibile, anche in un'edizione a tiratura limitata con copertina rigida, presso Ubu Projex. Informazioni, intervista e resoconto di un primo informale incontro pubblico tenuto pochi giorni fa vicino a casa, a Brighton - Thomas vive a Hove - sono al sito web dedicato mentre un paio di video promozionali si trovano su YouTube al canale di Hearpen. Dal comunicato affidato alla stampa: "David Thomas presents a journey through the ghost towns of America. Along county roads, across lost bridges, on the banks of mighty Interstate rivers are places that you don’t know that you know. There’s not a map in the world to tell you where to find them. This is a story of the quest, a story of lives sighted. A Lincoln Continental Town Car races across the face of a neon land, trailing clouds of dust and dogs. The story goes Somewhere and ends Nowhere. It represents a different kind of writing; a form that went into a state of metamorphosis before the time of Homer, emerging from its chrysalis in 1877 as a new creation. A hundred years of maturation followed. The writing is become hieroglyphic". Robert Wyatt è stato a Edimburgo pochi giorni fa al festival Fringe in occasione dell'inaugurazione del progetto interattivo 7x7 del belga Jean Pierre Muller, cui Wyatt ha contribuito assieme a Nile Rodgers, Terry Riley, Archie Shepp e Sean O’Hagan tra gli altri. 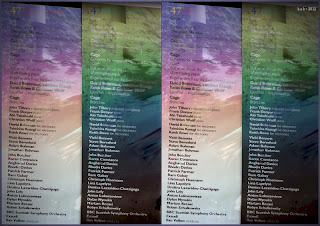 Scrive Muller: "The number seven is associated with the world of dreams. It is considered to be the most spiritual digit in our number system and also been used extensively in the allocation of orderly systems with the world we live in. The 7x7 project spans the spectrum of all things seven in a fully functioning interactive art and music event. 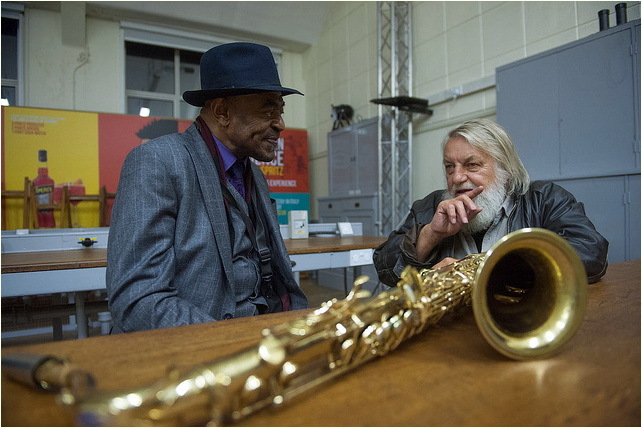 Muller and seven legends from the world of music: Robert Wyatt, Nile Rodgers, Terry Riley, Archie Shepp, Mulatu Astake, Sean O’Hagan and Kassin have focused their attention on this highly symbolic and inspirational number in order to create a holistic system where we travel through the full spectrum of our conscious world. Each musician created an original composition in response to this new 'grammar'. Their music emerges from the sculptures as the viewer approaches and fades as they walk away". Una galleria fotografica di Marc Marnie è su Flickr mentre informazioni sul festival e su 7x7 - l'installazione rimane a Edimburgo fino al 27 settembre - sono in www.edfringe.com e www.7x7project.com. 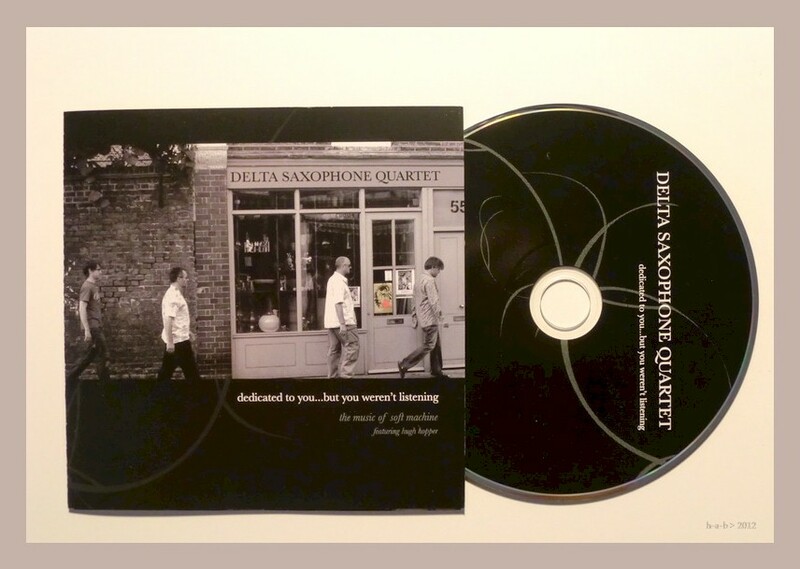 Fuori dalle formazioni guidate da Mike Westbrook, Peter Whyman e John Winfield hanno avuto modo di lavorare insieme anche in passato, per esempio all'epoca della realizzazione dell'album del Delta Saxophone Quartet - di cui Whyman è membro - dedicato alle musiche dei Soft Machine, Dedicated To You...But You Weren't Listening, prodotto da Winfield nel 2007 per l'etichetta MoonJune Records. All'album, si ricorderà, prese parte anche Hugh Hopper, coinvolto direttamente nella rilettura del suo celebre brano Facelift; oggi il cd torna in circolazione con nuovo design grafico e l'aggiunta di una versione appunto di Facelift catturata dal vivo a Catania, sempre ospite Hopper, quello stesso anno. Dal palco allestito su un camion proprio a fianco del V&A Museum, Mike Westbrook e la sua Band hanno concluso la kermesse londinese dell'Exhibition Road Show presentando l'integrale di Off Abbey Road, attirando in strada, oltre agli appassionati, una discreta folla di curiosi, visitatori e passanti. 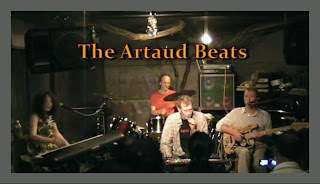 Con Mike e Kate Westbrook c'erano John Winfield, Peter Whyman, Alan Wakeman, Brian Godding, Andy Grappy e Simon Pearson. Qualche ripresa amatoriale è al canale YouTube di photocronista, mentre una replica, sempre a Londra, è in calendario tra pochi giorni, il 22 agosto, al 606 Club. 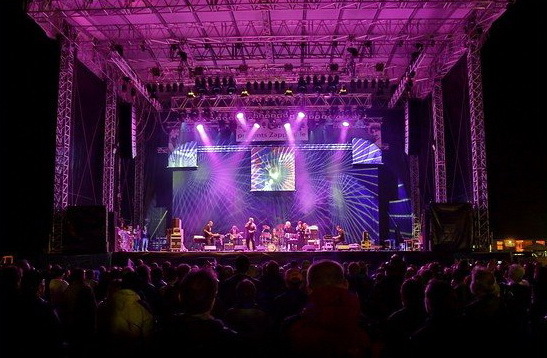 Il concerto tenuto dai Magma venerdì scorso allo Zappanale di Bad Doberan (Germania), quest'anno alla sua ventitreesima edizione, è stato trasmesso in diretta sul web da RockRadio.de. In scaletta i brani Attahk (che una volta conoscevamo come Rétrovision), Rïah Sahïltaahk, Félicité Thösz, Slag Tanz e Maahnt. Ce n'è memoria in http://tinyurl.com/ct9yzue. 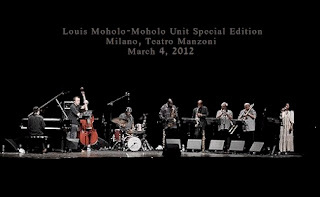 Inconstant Sol mette a disposizione una registrazione del concerto tenuto lo scorso 4 marzo a Milano, al teatro Manzoni, dal Louis Moholo Unit Special Edition, 'Dedicated To The Blue Notes': Henry Lowther, tromba; Alan Tomlinson, trombone; Jason Yarde e Ntshuks Bonga, sassofoni; Alex Hawkins, pianoforte; John Edwards, contrabbasso; Louis Moholo, batteria e voce; Francine Luce, voce. Le note di Off Abbey Road, rilettura del celebre album dei Beatles concepita da Mike Westbrook nel 1988, concludono stasera a Londra le attività del variegato festival Exhibiton Road Show, che per nove giorni ha animato un'intera area di Kensington e Chelsea con giochi, esposizioni, concerti, sfilate e spettacoli di strada di ogni tipo. 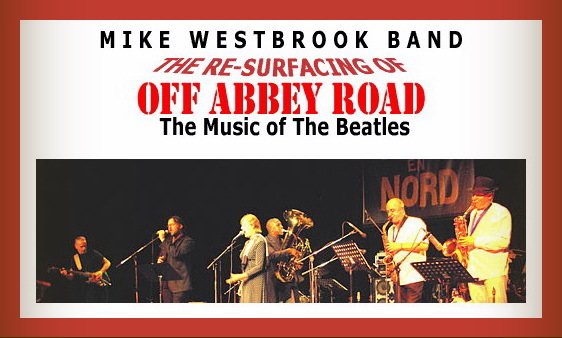 The Beatles' Abbey Road album is the basis of Mike Westbrook's Off Abbey Road project, a re-creation by contemporary musicians of one of the master works of pop music. Premiered in Reggio Emilia, Italy in December 1988 as part of a festival celebrating The Beatles, Off Abbey Road was an instant success with audiences and critics. 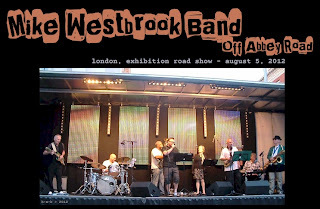 From 1989-91 the Westbrook Band toured Off Abbey Road throughout France, Germany, Italy, and Switzerland, appearing in many of the major European jazz festivals. A particular highlight was the 1990 Montreal Festival where the Band played an open-air concert to an audience of 30,000. Off Abbey Road made its UK debut with two performances at the Electric Cinema in Portobello Road, London, which were filmed for German TV, Recorded 'live' at the 1989 Willisau Jazz Festival, the Off Abbey Road album was released in 1990 on ENJA Record's new TipToe label. In 1995 Off Abbey Road was revived for a Beatles Festival in Trento, Italy. During '96 there were performances in Germany, Austria, Switzerland, Italy, Finland, France and the UK. The Mike Westbrook Band, specially formed for Off Abbey Road, brings together some of the outstanding jazz performers associated with Westbrook's music in recent years. The current re-surfacing of Mike Westbrook's Off Abbey Road coincides with the 40th anniversary of the release of the Beatles' Abbey Road album. 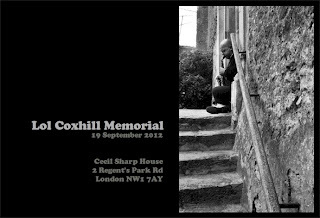 E in memoria di Lol Coxhill proseguono sul blog dell'etichetta nato Le Glob le pubblicazioni di commenti, impressioni, ricordi personali e dediche illustrate. 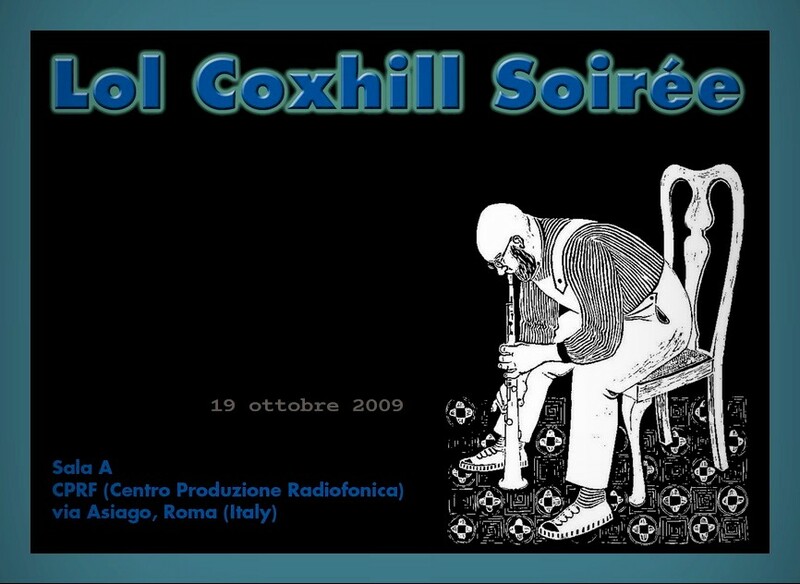 C'è anche uno scritto autentico dello stesso Coxhill, Vol pour Sidney, a proposito di Sydney Bechet e Charlie Parker, consegnato a Jazz Ensuite nell'estate 1984. 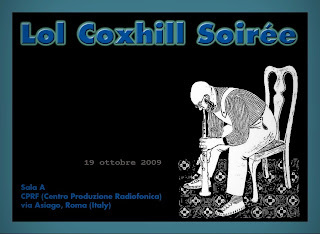 In ricordo del compianto Lol Coxhill, Battiti ripropone domani sera uno speciale concerto dal titolo Lol Coxhill Soirée, registrato a Roma il 19 ottobre 2009 e trasmesso qualche settimana dopo, il 15 dicembre, da Radio 3 Suite Jazz. 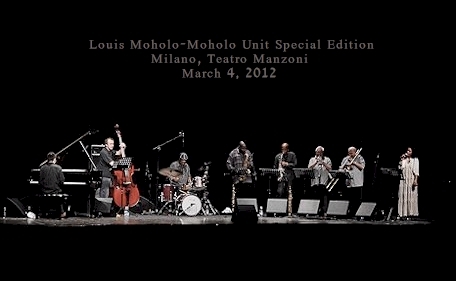 Coxhill suona in solo, in quartetto con Luca Venitucci, Luca Tilli, e Roberto Bellatalla, in trio con Mike Cooper e Fabrizio Spera, e infine insieme a tutti loro. Su Rai RadioTre, con inizio alla mezzanotte. 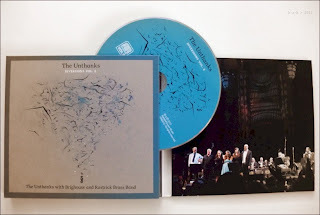 Il primo volume delle digressioni dal loro tradizionale repertorio fu quello dedicato alle canzoni di Robert Wyatt e di Antony & The Johnsons; oggi The Unthanks espandono la serie documentando la collaborazione e i concerti dal vivo dello scorso anno con la Brighouse and Rastrick Brass Band: Diversions Vol. 2. Diversions Vol. 2 constitutes perhaps the most daring and accomplished of musical adventures to date for The Unthanks. Their paradoxical marriage of staunch traditionalism and sonic adventure continues in the shape of brand new collaboration with Brighouse and Rastrick Brass Band, known as the best public subscription band in the world, celebrating their second successive year as National Champions of Great Britain. The record is the culmination of a project that began as a commission from Brass: Durham International Festival, with Unthanks pianist, composer and producer Adrian McNally writing The Father’s Suite, a four movement piece in celebration of Rachel Unthank and McNally’s first child, born four weeks before the sold-out premiere in Durham Cathedral. Al suo ricco catalogo di ristampe e riedizioni di lavori soprattutto del progressive inglese degli anni sessanta e settanta - non tutte di indiscusso successo tecnico - la Esoteric Recordings ha da poco aggiunto il primo lavoro orchestrale di David Bedford prodotto per la Virgin, nel 1974: Star's End. La partitura fu allora affidata alla Royal Philharmonic Orchestra diretta da Vernon Handley, con Chris Cutler alle percussioni e Mike Oldfield - invece di Steve Hillage e Mick Taylor, come inizialmente previsto - a chitarra e basso elettrici. 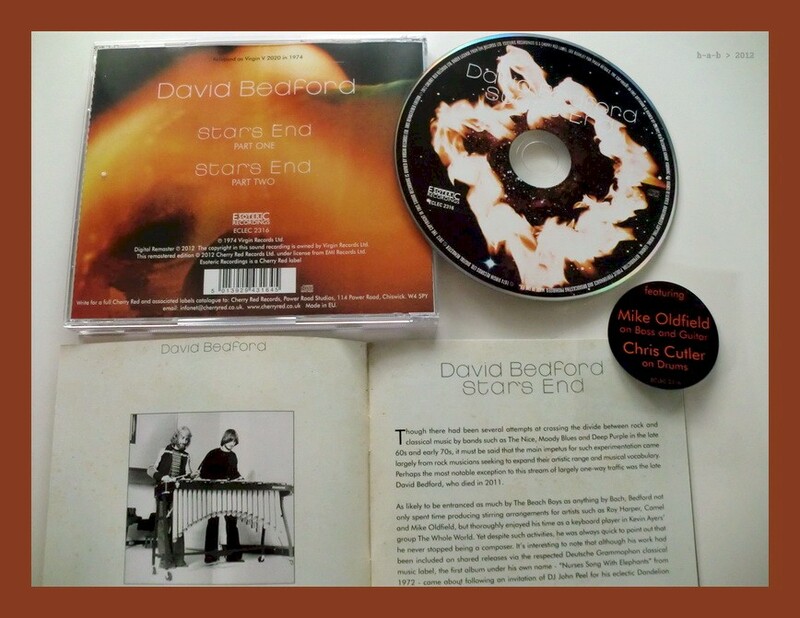 Esoteric Recordings are pleased to announce a newly remastered edition of the superb 1974 album by David Bedford Star’s End. The album was Bedford’s first release for Virgin Records and was a piece especially commissioned to be performed by the Royal Philharmonic Orchestra. The album was also significant for the presence of Mike Oldfield on guitar and bass and also for Chris Cutler of Henry Cow on percussion. This Esoteric Recordings reissue has been newly re-mastered from the original master tapes, includes a booklet that fully restores all original album artwork and features a new essay.